zinc oxide used specially in chemical industry has small particle size,medium grain size,scattered ability,high speed and thoroughly chemical reaction and consistent reaction rate. High purity,high stability and little impurity.It greatly reduces the influence of other products to the main products. Single grain's density and proportion are small.It is not easily to precipitation in reaction process. It has pure white color.So it has no effect to the color of the products. 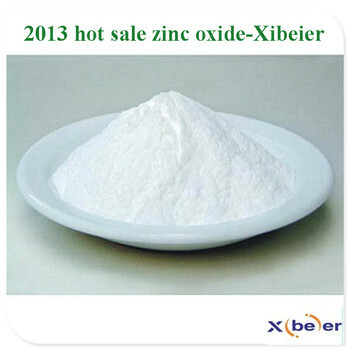 Usage:zinc oxide used specially in chemical industry is widely used in the production of zinc stearate,zinc bromide,zinc borate,phosphorizing liquid and other products.It can also be used to allocate plating solution. 1 Payment:By T/T or Westerm Union Paypal. We will always adhere to the honest and credible managing style, and remain the most reliable partner of customers.please feel free to contact us if you are interested in it,and your inquiry will always meet our prompt reply! We Tianjin Xibeier International Co.,Ltd is a specialized exporter for basic chemicals in China. · 7*24Hr after-sevrice,reply within 1Hr for the emrgency in the working time.